For hyperventilation characterized by an intense, shallow, too rapid or deep breathing that exceeds the body's need for oxygen. This condition disrupts the balance of oxygen and carbon dioxide in the blood, which can cause dizziness, shortness of breath, weakness, loss of consciousness and other symptoms. 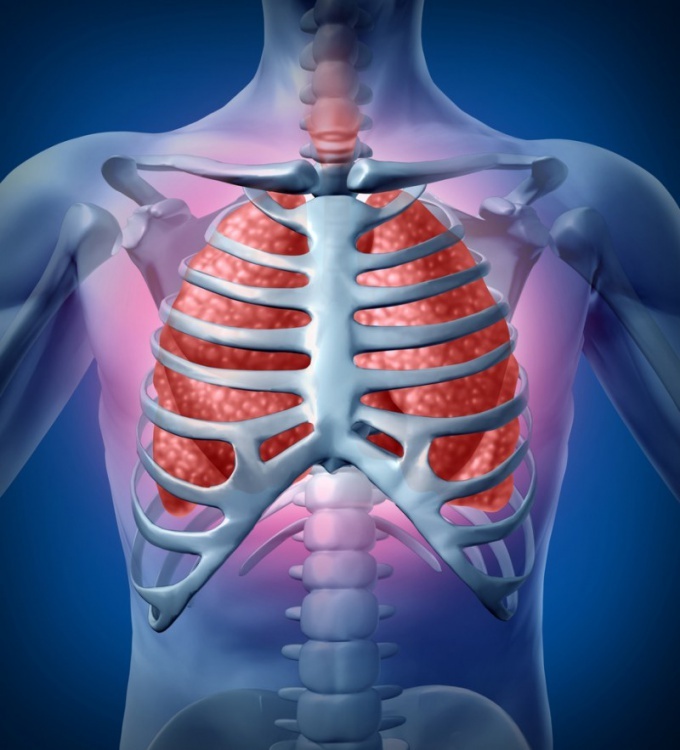 Respiratory function – to carry out gas exchange between the alveolar air of the lungs and the external environment. Normally, the pulmonary composition of air varies in a narrow and constant range. Under hyperventilation the concentration of oxygen increases, and the level of carbon dioxide falls. Reducing the level of carbon dioxide in the blood – hypocapnia – shifts the pH to the alkaline side and alters the activity of vitamins and enzymes. As a protective compensatory mechanism to prevent further loss of CO2, there are spasms of blood vessels and bronchi, reduces blood pressure, increases production of cholesterol in the liver. Compacting the cell membrane in the blood vessels and lungs, cholesterol plays a role in biological isolation. Spasm vessels and bronchi hinder the access of oxygen to the cells of the brain, heart and other organs. The decrease in the concentration of carbon dioxide in the blood increases the bond strength of oxygen and hemoglobin, hemoglobin gives oxygen to tissues and causes hypoxia. The body begins to suffer from oxygen starvation. Hypoxia can lead not only to deterioration of health and loss of consciousness, but in the future, and the death of brain cells. Hyperventilating indicate symptoms such as rapid, shallow, labored respiration, oppressive feeling, pain or tightening in the chest, dry mouth, anxiety, panic, tingling in fingers and feet, pain and cramps in the fingers, blurred vision, loss of consciousness. Tingling and numbness can be observed not only in the hands and feet but also in other parts of the body. Most often, hyperventilation occurs from nervous exhaustion. A similar condition can take place under stress, strong anxiety, fear and other emotional outbursts. However, the syndrome of hyperventilation can also provoke heart disease (e.g. congestive heart failure), drugs-anticoagulants, the use of stimulants, pregnant women ketoacidosis, lung disease (chronic obstructive pulmonary disease, asthma, Allergy, pulmonary artery embolism), infectious diseases. During an attack of hyperventilation it is necessary to consciously hold your breath or slow down its frequency to the amount of carbon dioxide in the blood has time to recover. Enough, usually several minutes. You can also breathe through one nostril. If hyperventilation is associated with anxiety, panic attacks or anxiety, it is useful to seek help from a psychologist or psychotherapist. To prevent attacks or reduce their frequency it is recommended to regularly exercise and breathing exercises.